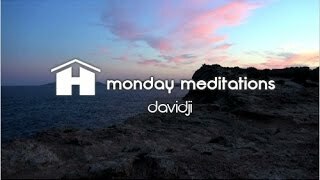 You can find a great selection of guided meditations on our Hay House YouTube channel here. Meditation music is ambient music used as background to aid the meditation process. Meditation music can have religious or spiritual elements, contain deeply relaxing rhythms, nature sounds, or even rap content. Modern, more sophisticated meditation music composers blend meditation techniques, conceptual stages, and music together, with specific meditation musical melodies to be played while in the process of relaxing or after you've calmed the inner dialog and reached a clear state of mind. Some meditation practices, such as Buddhist meditation, do not encourage the use of meditation music, since the practitioner needs to have a singular focus on breathing and/or posture. Meditation music in the form of nature sounds is allowed. Meditation music can be purchased on CDs, or you can download your music for meditation for free online in mp3 format. In a recent study of adults with early memory loss, scientists found that practice of a simple meditation or music listening program may have multiple benefits for older adults with preclinical memory loss. How long do you stand in line at Starbucks?